Additional management efforts seek to protect the likes of mearl, mussel and seagrass beds. Fishermen have reacted angrily to proposals which would see trawling and dredging banned from a number of inshore lochs on the west coast and the islands in order to protect seabed vegetation. The conservation measures by the Scottish Government are in addition to existing Special Areas of Conservation and the Marine Protected Areas, which have served to curtail fishing activity in these designated zones. The additional management efforts, if implemented, would seek to protect the likes of mearl beds and mussel beds and seagrass beds. However, fishing leaders are dismayed by the latest plans, which they believe are being rushed through to circumvent new legislation designed to protect island communities. Of the 11 proposed designations, only one – in the Cromarty Firth – is located on the entire eastern seaboard of Scotland. The majority are around the Outer Hebrides, Orkney and Shetland. Duncan MacInnes, secretary of the Western Isles Fishermen’s Association, said: “There is no doubt that when it comes to conservation measures that affect fishing, the west coast and the islands are being disproportionately affected. “I know of two young local skippers who have told me that if these latest proposals are pushed through they will have no choice but to sell their vessels and leave the islands. Mr MacInnes explained that new technology now exists which can accurately monitor vessels and their activities. That, he said, could provide a far better solution that blanket bans. It is hoped a meeting will now be arranged with Scottish Government ministers, particularly to discuss the issue in the context of the Islands Act, which was designed to protect the interests of island communities in the process of legislation implementation, in particular in assessing economic impacts. 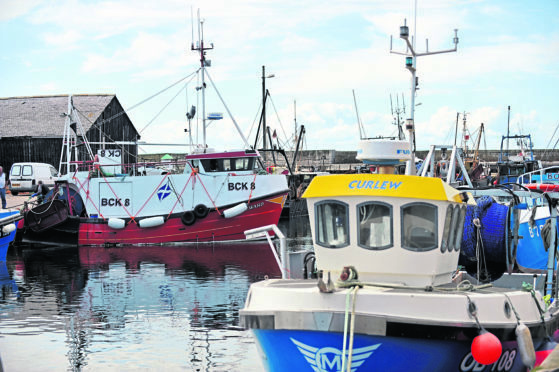 Finlay MacDonald, skipper of the Rival 2 fishing vessel in Harris, said: “I feel, like a lot of other fishermen, that we are already being suffocated with an influx of marine designations and any further restrictions will have grave consequences for the fleet and the local economy.